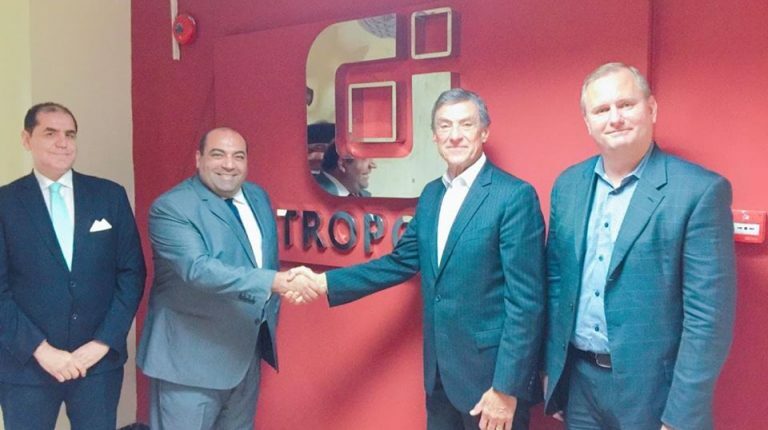 Metropolitan Egypt Financial Services has been bestowed as exclusive consultant to market Tony Romaâs franchise rights in Egypt, according to Khaled Nagaty, chairperson of Metropolitan Egypt. Last week, Nagaty, received John Brisco, President of Global Franchise at Romacorp Inc. According to Nagaty, under this agreement, Metropolitan Egypt will be the exclusive consultant for the marketing Tony Romaâs franchise in Egypt, and will undertake all financial and economic studies of the project in Egypt, as well as negotiate with potential franchise partners. He stressed the companyâs ability to carry out the agreed upon tasks as soon as possible, not only in Egypt but in many of the countries that the group intends to expand into, in the next five years. Accord ing to Brisco, his visit to Egypt is for the purpose of discussing with officials from Metropolitan Financial Services, after identifying its potentials, which have been confirmed by contacting a large number of experts and consultants in Egypt and abroad. A preliminary agreement was signed between Tony Romaâs, based in Orlando, Florida, the US, and the Metropolitan Egypt Financial Services over all the details related to the entry of the brand owned by the company to Egypt for the first time in 47 years, underscored Brisco. Furthermore, Brisco confirmed his confidence in Metropolitan on marketing the brand in Egypt and Arab countries, in which the group aims to enter as of 2019.